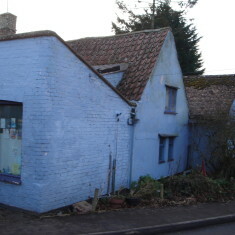 Listed as a Grade 2 building by English Heritage, The Old Bakehouse is described as a cottage of late 16th or early 17th century origin, much altered in 19th century. It is timber framed and plaster, but the framing has been replaced with brick in parts. The steeply pitched roof, originally thatched, is now with buff pantiles and a small C19 gault brick ridge stack. The fenestration is 19th or 20th century including a hung sash of four panes. 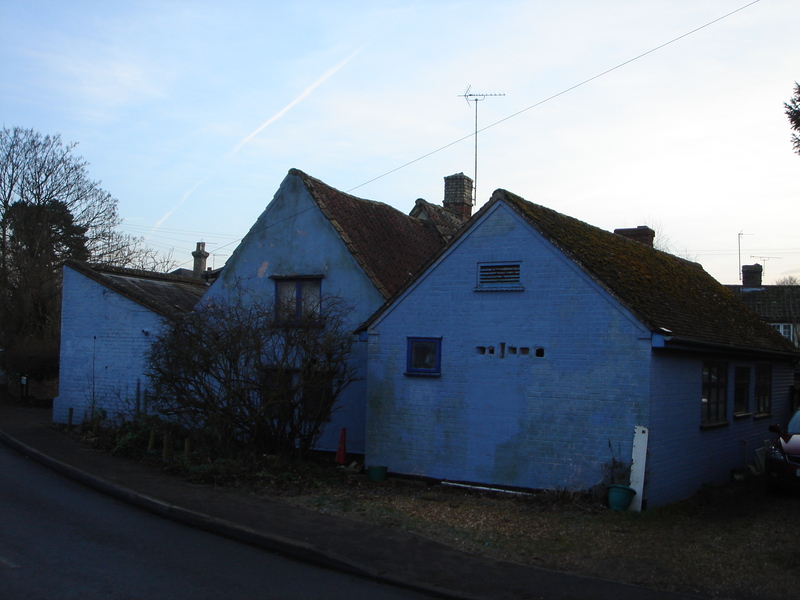 Auction, by Cockett & Nash at the Swan Inn on 22 Nov at 5 pm: Dwellinghouse with shop, bakehouse and outbuildings, orchard + 2 gardens at The Cross, Harston. By order of the proprietor, Mr Smith of Cambridge; immediate possession. Particulars etc: Cambridge & Royston. In 1893 it was one of 16 property lots up for auction when the ‘Harston Estate’ of William Long was sold. 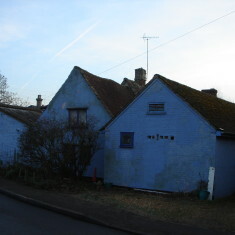 It was described as a ‘Highly valuable freehold property comprising dwelling house and shop, containing 4 bedrooms, kitchen, sitting room, shop & storeroom & bakehouse with outbuildings, comprising boarded, lath & plaster & thatched shed, boarded & tiled piggery & W C with yard etc comprising 33 poles (more or less). 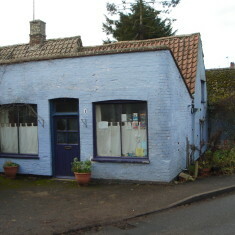 The property is well situated for trade in a corner position at the junction of the Haslingfield & Royston Roads & is in the occupation of Mr Ashby, a yearly tenant, at £14 a year. The tenant claims the oven & certain fixtures’. From 1861 to his death in 1905, Josiah is recorded in Kelly’s directory as having the bakery and grocer’s shop in Church Street. 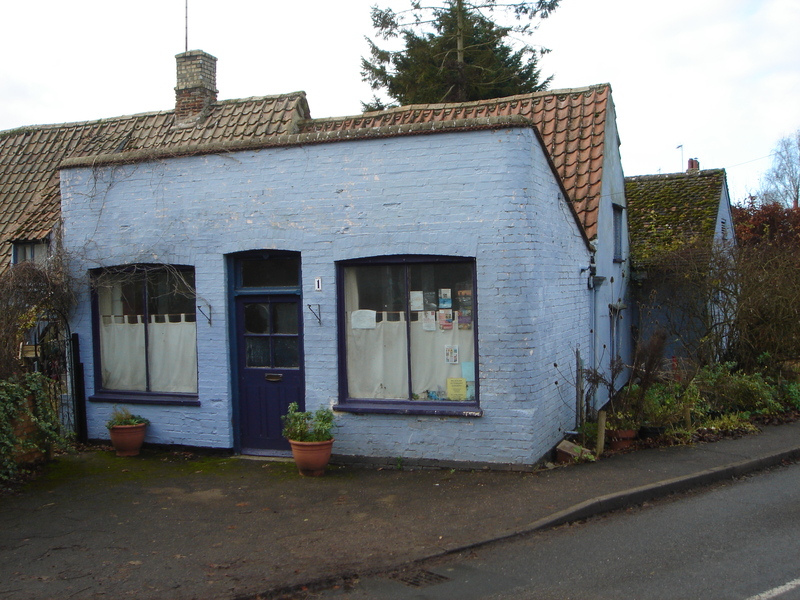 In Kelly’s Directory for 1929 Percy James Harrison is listed as a grocer & baker and in 1948 he built a new bakehouse beside the cottage but nearer to Church Street than the original bakehouse. This page was added on 25/10/2015. I lived here in the 1960s. 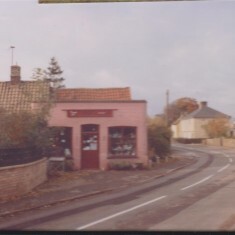 My parents re-opened the shop in 1964, Noel and Eileen Impey. So all my secondary school years were behind the counter. 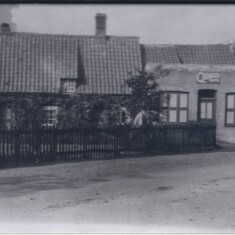 In those days it was a very busy shop. Thanks for visiting the website and your comments. 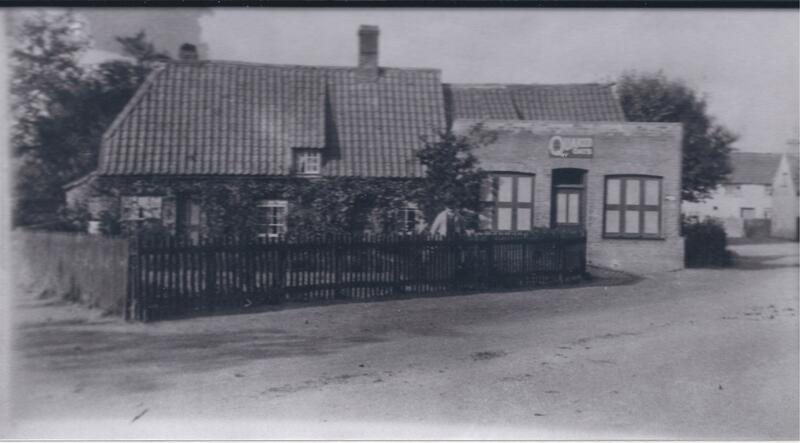 We would be very interested in any other memories you and your brother might have about life in the village. So many memories! I believe the name of the the lady who lived in the bus was Miss Thorne. There we’re also a couple of caravans next to the bus. I remember being shocked as a child to see the people roaming around naked one sunny summers day! This was an awesome house to grow up in. Two stair cases at each end of the house. This brings back a lot of childhood fond memories. I used to catch the school bus by the clock shop with Melanie Gaskarth and Chris Hare. I am still friends with them today. Jean Hearn was a very good friend of my mum’s. Her son Jeffrey is a good friend of mine today. I remember so many people but the last time I was there I noticed so many changes. Owning the shop Mum and Dad got to meet a lot of good people and made so many friends there. They were very involved in the community. Sadly Mum and Dad have died, Jean Sansom in 2000 and Colin in 2008. I miss them terribly but I hold onto the fond memories of them. They were two very special people. We recall Colin and Jean Sansom running the shop at no. 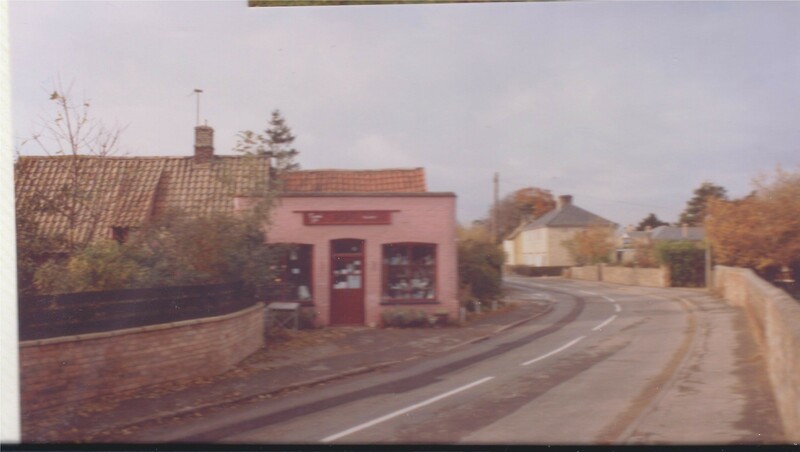 1 Church Street from soon after we moved into Harston in the autumn of 1968. They had 2 children – Jacquie and Jane. We used to buy bread and paraffin (for a space heater) from the shop, and they used to look after our daughter, Gemma, sometimes in the mid to late 1970s. Jean died some time ago, while Colin was still alive; we last saw Colin at Iris Armstrong’s memorial service. Lovely house. Many good memories here for me. I knew the lady at Button End who lived on the double decker, and Eric the old war vet two doors down. The Lovedays and Hearns were our friends. I remember going to the clock shop and the pub around the corner as a child. I remember Mr Shoote the school principal. My name is Jane, and as a girl had a dog named Phred and my mum ran the shop as a grocery store, in the 1960-70s – The Sansoms. Anyone remember us? 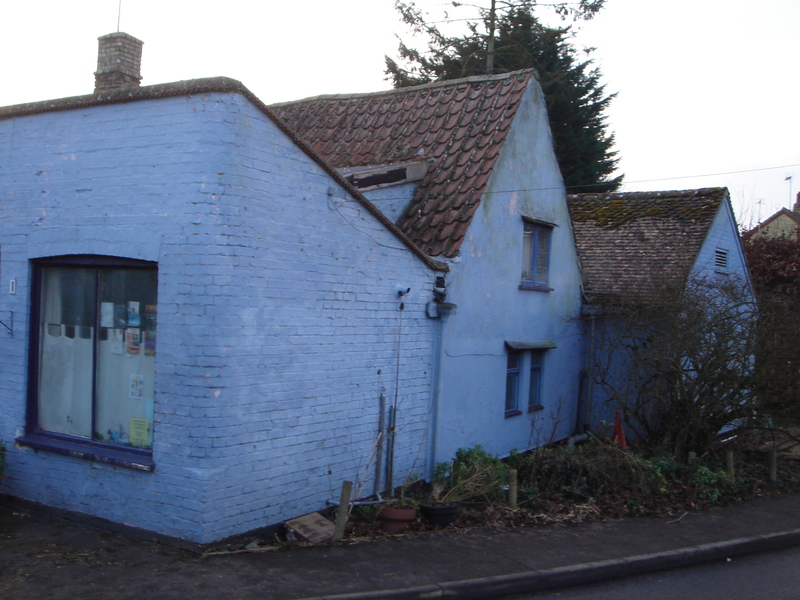 Harston was the best place to grow up. I now live in Vancouver Canada .